Pastor Moh Mei: What are the biggest obstacles to becoming and remaining a nun and how to overcome? The biggest obstacle to becoming is renunciation. The biggest obstacle to remaining is temptation. Remain in the places and company that increase one’s virtues, spend time on meritorious activities and avoid places and company that increase delusions and limit worldly activities. Kevin Lam: Wow then I must quit smoking from now on. But I stopped drinking long time ago. Sharon Ong: I think smoking and drinking which are detrimental to our health can waste the preciousness of our human life. Eric KP: Thank You Rinpoche for the Smoking and Drinking answer. Kevin Lam: Thank you Rinpoche on the answer of smoking and drinking..
gopinath: i use to offer toddy to the protector hope it is not wrong . Kevin Lam: I will Rinpoche. Choongs: I rejoice Pastor Moh Mei. Kevin Lam: Hehehe maybe I’m a too emo guy…. sweekeong: Pastor David: This is the link I mentioned, http://vajrayogini.com/sitemap.html. Thanks for pointing out on Jamyang Namkha Gyaltsen. Tsem Rinpoche: Joy, what is taking so long? Joy: More on negative speech and karmic results: We create future karma by actions of body, speech and mind. Negative Speech is also one of demeritorious actions. This creates the results of contradiction in our actions and speech and thus creates all the negative results of speech one experiences. Our mind also becomes flippant or unstable due to the negative speech of like example; schism. Because we create division, hence we ourselves create disharmony in ourselves, our surrounding and out mind. Because everything stems from the mind, the is actually the primary determinant of karma. Why? Because whatever negative actions we perform with body or speech first appear in the mind in the form of negative emotions and thoughts. It is not possible to engage in negative actions of body and speech if we have not first entertained negative thoughts and emotions. This means that, as far as karma is concerned, whatever we are doing matters, whether we are acting, speaking, or just thinking. Wan Wai Meng: @Rena it is also very difficult to develop compassion when we are eating meat. Eating meat and compassion are opposites. gopinath: dear Lord I did use to be a social drinker and a social smoker . But to You I promise I will never again touch them . Pastor JayJae庆《佛欢喜日》: @Rena: when you don’t eat meat, u do not create the demand for the animal to be slaughtered and the demand for meat to rise. u are indirectly saving lives. By doing so, u create causes not to die an untimely death and be reborn in places where living beings have no control over their lives. Pastor Shin: @Gopinath – I rejoice in your virtuous promise. Alcohol is a poison that clouds the clarity of the mind. Victor.Choi: Good day Rinpoche and room! Rena Wong: Oh Sharon, occasionally when in social functions i have a sip or two. Is okay Rinpoche? Victor.Choi: ops! Good day to Pastor’s in the room as well.. pardon me for my disrespect. Kevin Lam: Ya I met JP in KFR. He is such a caring person. He was asking us to be careful not to step on the ants and plants. Tsem Rinpoche: Hi Victor Choi. We have been chatting for over 1.5 hours and we will conclude soon. Nice to see you here. My USA team will have another chat soon and we will post on Fb, be here again to learn more. Kevin Lam: Thanks Pastor Shin and Sara Ong. Joy: I thank Rinpoche for being patient with me for so many years and time is running out. sweekeong: Sharon: Food of Bodhisattvas is the book to read if we want more reasons and convincing of the dis-benefit of eating meat. Tsem Rinpoche: Swee Keong, that is a wonderful book. joshua: Hi rinpoche and all. Thank you for all the teaching and words. Pastor JayJae庆《佛欢喜日》: @sweekeong: That’s a wonderful book to read. 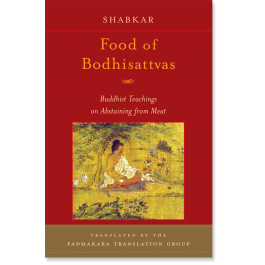 It has scriptural backings from the Buddha himself on vegetarianism and why. A must read! 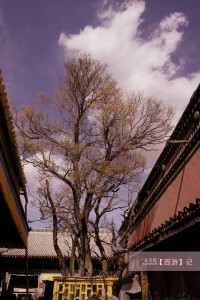 Victor.Choi: Dear Rinpoche, Thank you so much and will follow again. Will read the discussed comment and replies. Tsem Rinpoche: Joshua, you must save al the things we’ve been chatting for the last 1.5 hours and read…You to Victor Choi……. Wan Wai Meng: @Rena Good to end prostration retreat with the King of prayers and not eat fish. With folded hands. Kevin Lam: Sorry I missed the chat session yesterday afternoon coz was busy with one homeless off the street from Kepong and getting him a new job in Ampang. Finished about 8PM. Bradley Kassian: You first recieved the lung for Ganden lhagyama from H.H. Ling Rinpche when you were about 12 years old, and actual initiation from H.H. Kyabje Zong Rinpoche when you were 18? Choongs: Rinpoche received the whole initiation, practice, empowerment from Rinpoche’s root guru, His Holiness Kyabje Zong Rinpoche. Victor.Choi: hmm.. need to polish Rinpoche’s biography. bad me. Tsem Rinpoche: Bradley, you are new and yet you know the information so well..I am happy. You are correct. His Holiness Kyabje Ling Rinpoche (senior tutor to HH Dalai Lama) came to New Jersey invited by Kensur Lobsang Tharchin Rinpoche and I received Tsongkapa’s lung and mantra transmission from Him when I was around 12 and I remember it vividly. Then later I received initiation from His Holiness Kyabje Zong Rinpoche in Los Angeles when I was 18. With commentary and full transmission..wow.. I was so lucky. Ling Rinpoche was the 98th Gaden Tripa representing Tsongkapa on earth. So I got Tsongkapa from Tsongkapa literally!!! I have good merits for sure I say humbly….. Besides these two, one more master, anyone know?? Kevin Lam: Me too for HH Dalai Lama…. Pastor Shin: Dear Rinpoche, was it from the great Sera Mey Kensur Rinpoche Lobsang Tharchin? joshua: yes Rinpoche. Will save the teachings and read. Victor.Choi: @Lucy Yap Noted & Thank you! Pastor David Lai: @Sharon Ong – Rinpoche wept because he was overwhelmed and moved by the teaching and blessings of the Dalai Lama. Perhaps, he was moved by the overwhelming familiarity that he felt during the teaching. Kevin Lam: Oh I see, Thanks Pastor David for your explanation. Tsem Rinpoche: Thank you LA team…You all did a great job…..